A GRIP ON SPORTS • Every four years, Seattle Sounder fans do something no other fan base in North American professional sports are allowed to do: They vote whether to retain their general manager. Democracy in action, sports-style. Just think if other fan bases were allowed the same privilege. Read on. • Yes, it’s true. In September and October, the Sounders’ season-ticket holders, a group they call their Alliance Council, will vote on whether to keep Garth Lagerwey as the general manager. It’s lucky, for Lagerwey anyway, the vote wasn’t taken in April or May. Seattle was foundering at the bottom of the MLS standings back then. There is no chance he would have been retained. But the Sounders are the hottest team in the league, with six consecutive wins and a nine-game unbeaten streak heading into Sunday’s home match with archrival Portland. They will make the playoffs, look poised to make another deep run – in the last two MLS championships they have won one title and finished second the next, which seems to be the Seattle way – in the postseason and are doing it after a midseason roster adjustment. So expect Lagerwey to be retained. But in this what-have-you-done-for-me-today world, who knows? Just think if Cougar fans had been allowed to vote on Mike Leach’s job status after his third season in Pullman. Despite making a bowl game in year two (a game they gave away in the final minutes), Leach’s Cougars were 12-25 at that point and seemingly foundering. Given a choice, the season ticket holders may have voted him out and forced Bill Moos to look elsewhere for a coach who could win in Pullman. As if those folks grow around here like winter wheat. 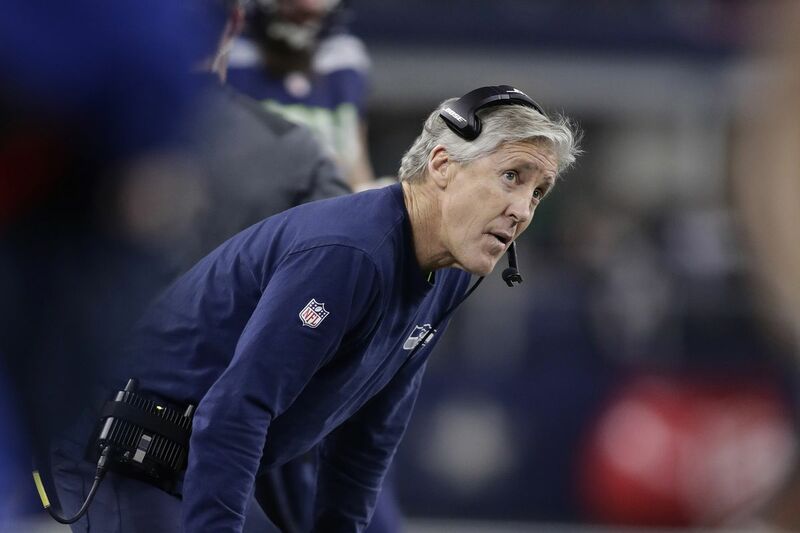 Or how about Seahawks fans and Pete Carroll after last season? OK, bad example. Let’s move on. Which is precisely what Gonzaga’s spoiled season ticket holders may have done with Mark Few after, I don’t know, 2008, following a second-consecutive first-round NCAA flameout. Oh sure, the Zags had just won the WCC title for the eighth year in a row, but the “why-can’t-Few-guard-the-3” crowd was in full throat and some thought GU could do better. A vote that offseason might have been close. Then the next year GU made the title game and may have been one Verne Harris whistle from winning a title. Democracy – Sounders’ minority owner Drew Carey (yes, that Drew Carey) calls the general manager vote, “Democracy in Sports” – is messy. We see that every day in our great country. And fans are fickle. We see that every day as well. So maybe giving them the vote is not always the best idea. Besides, they have a type of voting right already, especially the season ticket holders. And it is as American as trooping to the ballot box. They can vote with their wallets, closing them if they are dissatisfied with the direction of their team. Seattle’s fans have done that a bit this season, as the average attendance is down almost three thousand per match. But the winning streak, and the Timbers’ presence this Sunday, should bump that up some. It couldn’t come at a better time, for Lagerwey at least. Maybe he will pepper CenturyLink with signs. You know, “Vote Lagerwey” or “Lagerwey, the Best Way” or something. And then hope the Timbers don’t get two or three shots past Stefan Frei. WSU: The battle for quarterback may not have been decided – it also may have, though Mike Leach won’t admit Gardner Minshew is his guy for a variety of reasons – but the Cougars know who their top receivers will be. Theo Lawson, who earned a funny, sarcastic response from Leach after asking him about the Wyoming altitude, found out who they are yesterday. … Theo also has the entire Leach interview as well as more from Minshew, Peyton Pelluer, Kyle Sweet and Nick Begg. … Elsewhere in the Pac-12, the smoky air isn’t confided to the Inland Northwest. Washington was forced to practice indoors yesterday after the air got too bad in Seattle. … Oregon State will head across the Cascades for some work in Bend. It’s practice for road trips. … Depth chart questions need to be answered at Oregon. … Offensive coordinator Beau Baldwin has a plan to use California’s tight ends. … Colorado will be without one of its tight ends. … Some players UCLA is counting on have returned to health. … USC will make its quarterback decision next week. … The depth chart is taking shape at Arizona State. … A transfer at Arizona is alleging his former school cheated. … How will the new redshirt rule be used? No one is exactly sure just yet. … In basketball, the news from Arizona is not good. Gonzaga: It was a big day for former Zag players, including Jordan Mathews, who signed with a Danish pro team. Former post Ryan Edwards, who finished up at Portland State, signed with a team in Spain. Connor Griffin, who left GU to play football at Washington, is going to be a basketball grad assistant for Lorenzo Romar at Pepperdine. Jim Meehan has stories on all of those developments. EWU: The Eagles’ defensive line has faced tough times recently. Ryan Collingwood tells us how the group plans to do better this season. … Larry Weir talks with football coach Aaron Best and Idaho beat writer Peter Harriman for his most recent Press Box pod. Indians: Time is running short for Spokane. Though the Indians snapped their three-game losing streak last night with a 6-0 win at Everett, they remain two games back of Vancouver with 12 to play. … Elsewhere in the Northwest League, Hillsboro edged Eugene, 6-5. Mariners: Mike Leake called in sick yesterday, so the M’s had to scramble at the last minute with their pitching staff. Nick Vincent started and pitched until Ross Detwiler could get to Safeco from Tacoma. (That’s a bit of an exaggeration, but it seemed like it). No matter. Detwiler and Houston’s Framber Valdez, also up from the minors, pitched well in the Astros’ 3-2 win. The M’s had chances against the Houston bullpen but couldn’t cash in. … Hisashi Iwakuma is still trying to make it back this season. … Broadcaster Angie Mentink has been dealing with breast cancer for the past year. Seahawks: Some Hawk fans may have said “it’s about time” yesterday when Carroll announced George Fant will compete with Germain Ifedi for the right tackle spot. No, Ifedi did not respond with a false start. … J.D. McKissic will be out 4-to-6 weeks with a foot injury. 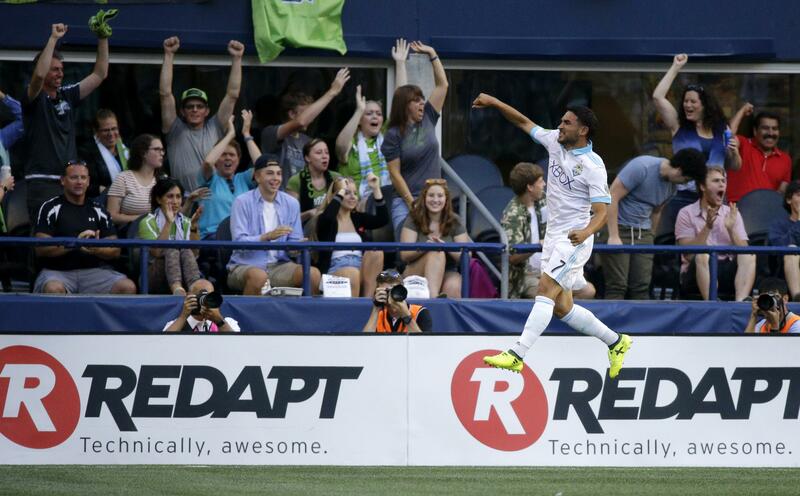 Sounders: The struggling Timbers may be shorthanded when they face Seattle this weekend. Published: Aug. 22, 2018, 8 a.m.